On Saturday, April 25th, 2015, a magnitude 7.8 earthquake–the worst to hit Nepal in more than 80 years–struck just outside the country’s heavily populated capital, Kathmandu. The disaster triggered deadly avalanches on Mount Everest and in the Langtang Valley, and caused widespread building collapses, damage to infrastructure, injuries and deaths. Less than a month later, on Tuesday, May 12th, 2015, a second earthquake, registered as a magnitude 7.3, shook the country. Soon after, monsoon season arrived, bringing landslides and flooding to already vulnerable communities. As a result of the earthquakes and subsequent aftershocks, more than 9,000 people were killed and upwards of 20,000 people were injured. According to the UN, an estimated 8 million people were affected across 39 of the country’s 75 districts, 3.2 million of whom were children. Throughout the country, approximately 7,000 schools were destroyed and 35,986 classrooms damaged. Operation USA–remaining dedicated to health and education recovery for children and families in disaster-impacted communities–committed to the remote village of Fyakse, in the Dhading district, for long-term relief and recovery support in the quakes’ aftermath. The village was already vulnerable and its residents already marginalized before the disaster, so the tremors (which damaged approximately 65% of homes in the village and twelve classrooms at the community’s secondary school) exacerbated conditions and created new challenges for villagers who had worked hard to prioritize access to quality education for area youth. For many months in the wake of the disaster, as logistical bottlenecks and government delays limited access to resources for the community, students attended class in temporary structures and awaited a permanent recovery solution. Thanks to the generosity of Operation USA’s donors and supporters, we broke ground on a new school facility in Fyakse in March 2016, in partnership with local organization Rebuild Nepal Foundation. 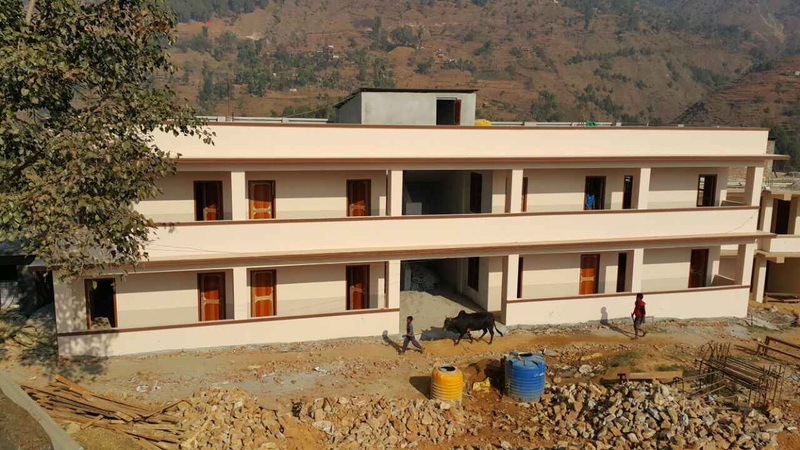 One year later, in March 2017, the Shree Panchkanya Secondary School was completed. This month, the school will open its doors to nearly 350 students in kindergarten through tenth grade. 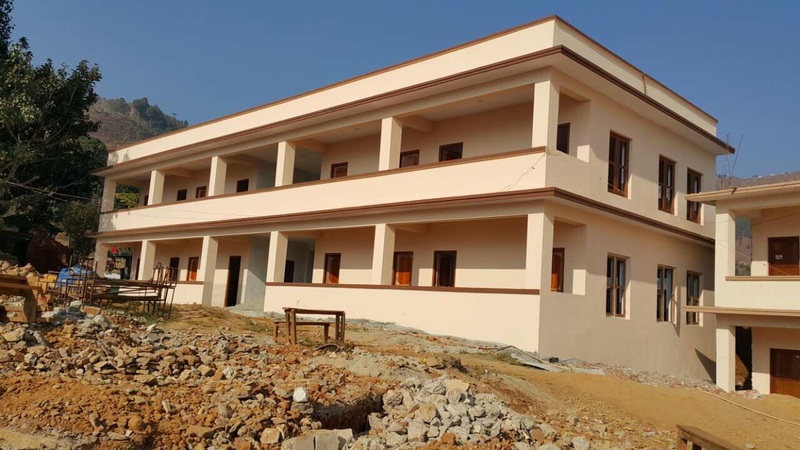 Shree Panchkanya–comprised of twelve classrooms, restrooms and hand washing stations–will provide many protections and opportunities for area students who have long faced ethnic discrimination and who have relied on the school as a source of hope for the future. Operation USA hopes to continue supporting educational opportunities for the children of Fyakse in the months and years to come. Your ongoing generosity will make this effort possible. Every donation to our Nepal programs now will help to provide desks and other school equipment, deliver textbooks and learning supplies, and fund other initiatives to bolster learning, nutrition and health.